This week, Iowa politician Joni Ernst released a bizarre campaign ad equating her experience castrating pigs on her family's farm with the political wherewithal to cut spending in Washington. The attention-grabbing video sent ripples around the internet. So what, exactly, does pig castration involve? The practice of surgical pig castration is mainly used to prevent the production of an unpleasant odor from pork called "boar taint," which is associated with the hormones produced naturally in uncastrated male pigs. Though this does not affect the safety of the meat, the U.S. Department of Agriculture does not allow meat with "boar taint" from uncastrated males to enter the human food supply chain. Castration is also used to prevent sexual and aggressive behaviour in pigs. Who castrates their pigs? Well, in the U.S., pretty much everyone. Nearly 100 percent of pigs are castrated, except those used for breeding. Even free-range pigs and those generally considered to be "humanely raised" for their meat are castrated, to preserve the taste of the meat. According to the American Veterinary Medical Association (AVMA), male pigs should be castrated by 14 days of age. While it is difficult for livestock suppliers not to to castrate their pigs at all, there are ways that they can reduce the amount of pain associated with castration -- usually an extremely painful experience for piglets, who are often not given any painkillers. One way to lessen the pain of castration is a technique called immunocastration, which involves injecting a protein compound that works like an immunization to to suppress the pig's hormone production. Currently, a drug called Improvest is the only FDA-approved veterinary prescription product to do this in the United States. But in other countries, the same drug -- labelled as Improvac™ -- is used more frequently. In fact, it's approved for used in more than 60 other countries. And castration laws are more stringent in some countries, too. 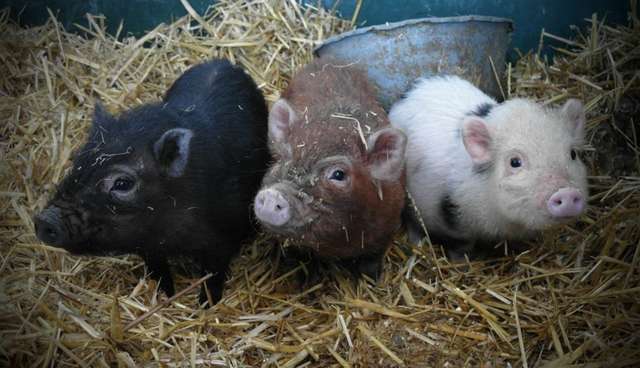 The UK, Ireland, Norway and Switzerland forbidpig castration without anesthesia, while Spain and Portugal have banned it in some areas. The EU has pledged to entirely ban castration without anesthesia by 2018 -- a groundbreaking move that many other countries, the U.S. included, lag far behind. As responsible consumers, it's easy to decide to avoid factory-farmed pork. The hard part is what to make of the most acceptable alternative. Does free-range farming justify the mutilation that's often required to keep pigs outdoors? As an ethical matter, the question is open to endless debate. What the conscientious meat eater can take away from it is not so much a concrete answer as a more nuanced way to think about our food choices. In this age of deeply convincing attacks on factory farms, consumers must be careful not to immediately assume that every alternative to factory farming is as "all natural" or humane as its advocates will inevitably declare. The alternatives might require still more alternatives.